MSNBC presenter Rachel Maddow is wearing Moscot Vilda eyeglasses on the cover of Rolling Stone magazine, issue 1290, June 29, 2017. 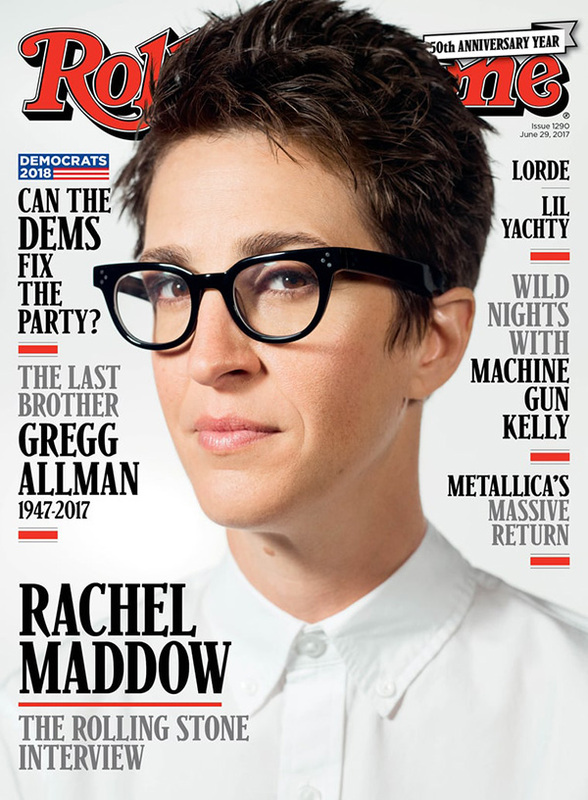 It looks like MSNBC presenter Rachel Maddow is wearing Moscot Vilda eyeglasses on the cover of Rolling Stone magazine, issue 1290, June 29, 2017. The Wayfarer style glasses can be recognised by their the three rivets (the three dots) on the front and each side of the thick acetate frame, and the "paddle" style temples. Rachel Maddow is known for The Rachel Maddow Show, which airs on MSNBC, and for her book Drift: The Unmooring of American Military Power. 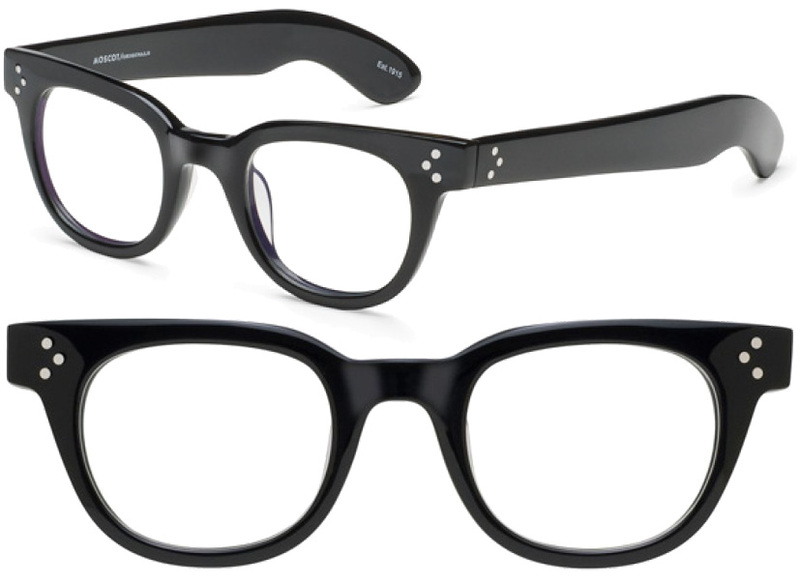 Maddow is reportedly a fan of the Moscot brand and also has been spotted regularly with Moscot Nebb eyeglasses.